Terry Moore, a regular voice on C-FAX 1070, has died after a battle with cancer. Moore died Monday at the Saanich Peninsula Hospital, leaving behind wife Ramona and four adult children. Terry was a regular voice on C-FAX 1070 since the early 2000's. He was often heard hosting the afternoon show, where he interviewed countless people both locally and globally as he covered current events with his signature flair and showmanship. But, Terry’s radio career stretches back 62-years and far beyond Victoria. It began in 1956 at CKUA Edmonton and soon CKFH and CFRB in Toronto. He spent the early 1960's at CKLC Kingston, CJCA and CFRN TV Edmonton, CKSO TV Sudbury as a news anchor, and CFCN Calgary on their morning show. In the latter half of the 1960's he hit the United States and WSTC Stanford Connecticut. Then, Terry made it to the big city and WTFM New York where he worked morning radio and was Assistant Program Director. 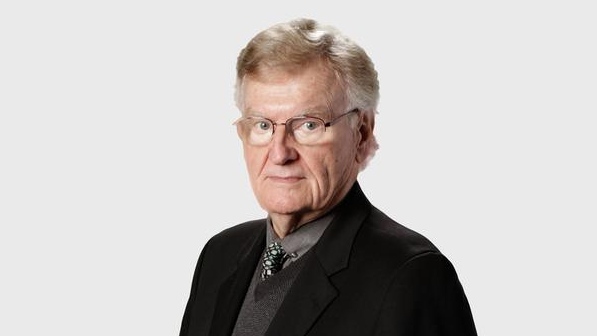 The 1970's saw Terry move to Vancouver, where he was heard on CKWX and CJOR radio before settling in for a long stay at CKNW. In the 1990's, he spent time at QR77 Calgary on their morning radio show and, briefly, as TV news anchor. "There was never a dull moment with Terry. He was the original energizer bunny," said Ted Smith, Terry's longtime friend and fellow broadcaster. Smith is the former President and CEO of one of Terry’s former employers, the WIC Radio Group, but says he was a friend first and a boss second. "Terry was a great friend. He was a very kind person. Whenever there was a gathering Terry was always the life of the party - the center of attention. You'd go out to dinner with Terry, at any restaurant, and people recognized his voice right away." Terry's life was full on interests and passions. He loved fine food, good wine (he once co-hosted C-FAX’s Wine Talk program), and music. "A lot people don't know this about Terry - he had a magnificent singing voice. He sang opera in New York at one time," remarked Smith. One of Terry’s legacies will be the lasting impact on the generations of broadcasters he worked with. "The thing that impressed me over the last few days, with a lot of broadcasters from Victoria and Vancouver who were calling him and visiting him, a lot of them said that Terry was their mentor. Terry's been in the business 62-years so I guess he mentored a lot of people," said Smith. A true gentleman. Always with a positive attitude and a word of encouragement. What a remarkably kind man. He always had time for every young broadcaster, and most often had more energy than them too. A kind hearted man. I'll miss his visits to the newsroom.